i really should not have been surprised. the sagada backdoor climb has been an annual pilgrimage for me, and i have had the privilege of returning to this "secret" trail a total of four times, although the last two have been truncated to allow us more time to enjoy sagada. 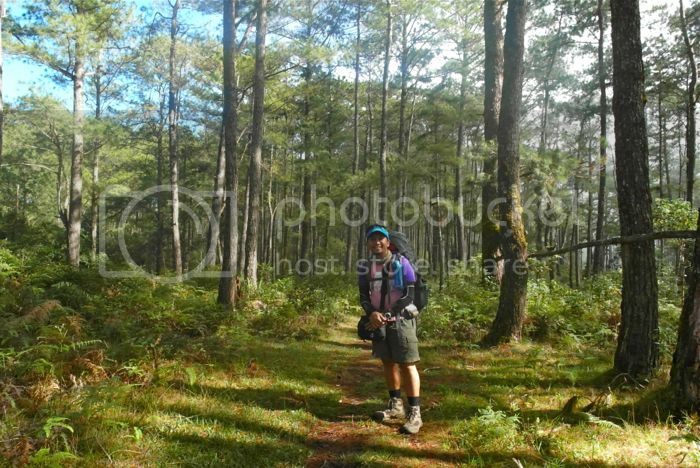 when i first joined the trek in 2005, barely a month after my induction climb in mount apo, we began our auspicious walk through the untouched pine forest just behind the tadian municipal hall. the same trail was repeated a year later, and i was happy to join once again. the climb was not organized by the keepers of the trail until 4 years later, although i was not able to participate as i sought out other adventures. 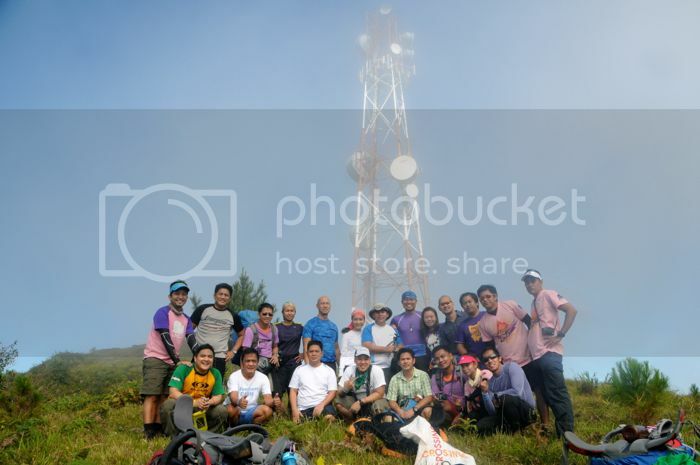 last year, i helped organize the climb again, only that we started in bagnen, which was usually our lunch area on day 2. there is a spur road that abruptly turns into a trail and leads to the village of balintaugan in bauko. 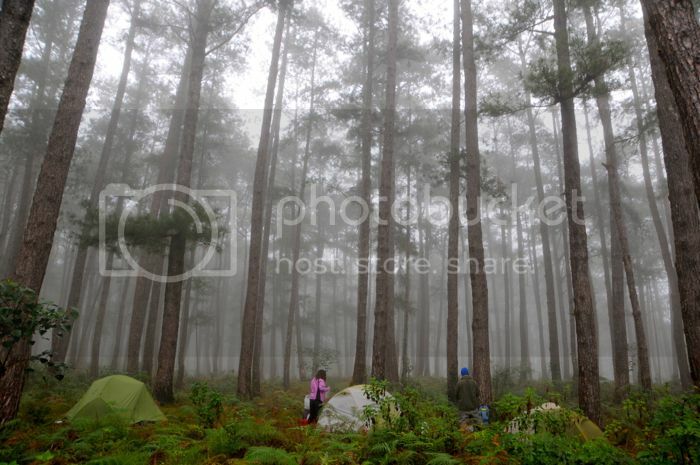 just outside the school is a place we call the sherwood forest, where a little-known trail through slender pine trees suddenly opens up to mount ampacao, with its commanding views of both sagada and besao. and it is perhaps because i have been there 8 years earlier that i marvel less and less about this once beautiful place. the trail from bagnen to balintaugan has been replaced completely by a dirt road, and i was told that this leads directly to suyo, already in sagada, with parts of it already paved in gray concrete. even the sherwood forest has been invaded, and the trail is widening into a road. already, tire marks are making inroads into the once charming and mysterious forest where many times we've gotten very lost, mistaking missionary trails for the one that ends up in ampacao. this year was particularly shocking in terms of how the pursuit of progress is turning the places where we seek refuge into the same places we hope to escape from. last year's campsite had been brutalized, with the exact spot where i pitched my tent mowed by what seems like a truck, and our kitchen area became a conference of pine boards forming teepees around surviving trees. when we woke up the following morning, a group of young men made several trips into the forest while we prepared breakfast, carrying these once proud old trees to the village, probably to be sold somewhere else. the sound of a roaring chainsaw competed with the chirping of birds and chorus of insects, as well as the noise we made ourselves. when we finally packed up, the carnage was even more evident as the trail towards ampacao had also been ravaged. 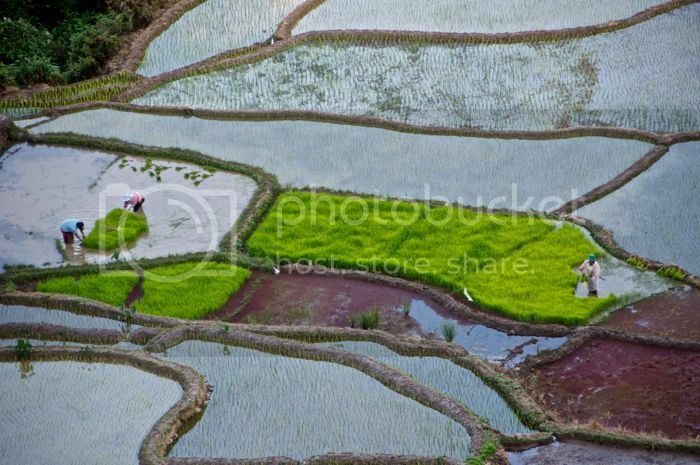 in some areas, holes had been dug to make charcoal. but this is not to say that the trail had completely lost all of what makes it beautiful. there are still patches which remind me of what made me want to return here and share my experience with others. on this trip, 21 of us descended upon the spanish trail, more than half for the first time. 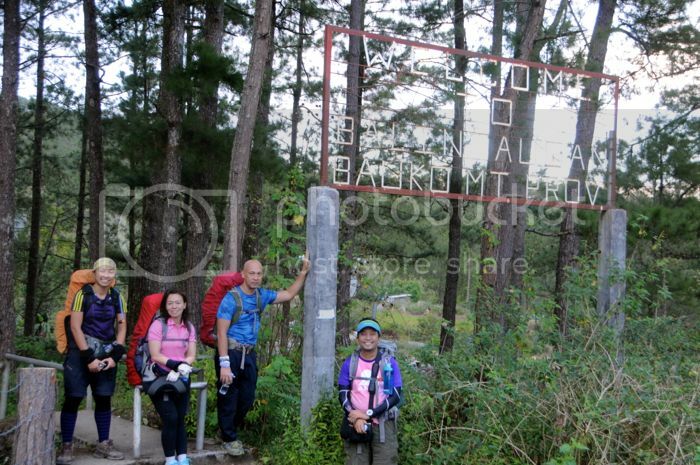 although i apologized profusely about the conditions of the trail as though progress had been my fault, i heard no complaints from any of them, despite all the setbacks that hounded us, starting with the more than an hour's delay as we climbed our way up to baguio when the fan belt of the bus was damaged and we had to wait for a mechanic to fix it. the wait was compounded by an earlier delay at the bus station in pasay where travelers had swarmed, and the holiday traffic kept us in the metropolis longer than usual. we finally only left baguio city at past 8 in the morning. although i don't remember the bus ride to tadian to be particularly long (and last year, despite having to transfer twice to another vehicle we still managed to reach bagnen at past 3PM), our uncomfortable jeepney ride took us more than 8 hours. that's more than the time it takes to get to sagada, although we did have many stops along the way as we had absolute control of our time. also, the socials had been reduced to an alcolympics, the likes of which remind me of revelers wanting nothing but to get intoxicated for intoxication's sake, as though the ultimate goal was to get wasted, rather than just to feel artificial warmth and smooth away inhibitions. the conversations were gravely reduced to shouting matches, and many times i had to hide elsewhere to avoid this cheap brew that was quickly going around. i don't remember retiring to my tent, but i did wake up sometime after midnight to answer a call of nature, and found the peace and quiet to be refreshing, although i had difficulty returning to sleep as i felt as though a peg was being drilled into a spot just over my left eye. the following morning, i wrested the role of trail master from kuya mar (who insisted on an early right), remembering our guide's advice to follow hack marks. although we briefly lost the trail, i knew where we were supposed to be headed, and soon found the way that took us out of the misty forest and into the fogged clearing leading to ampacao. the tower could not be seen until we stood on the same mound where it had been erected. 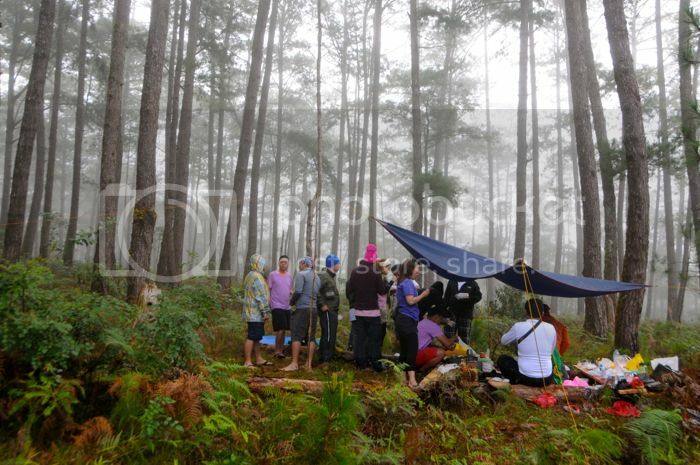 it was still a good two hours to lunch time, and we spent no time to get down to sagada. we didn't plan for lunch, and were checking out restaurants along the only road from the poblacion down to ambasing, where the trail from ampacao ended. we skipped yoghurt house which had a full house, although feedback from my friends were consistent in declaring the food was no longer great. in fact, it was mediocre. there was a time when the system at yoghurt house had customers waiting over an hour, but the food was fantastic. now that the system had been improved, shorter waiting times related in less-than-stellar food. we marched further up to have our lunch at masferré, and later lugged our bags to our lodging place: a house with 4 rooms on the upstairs floor, about 100 meters from the bend beyond log cabin. the owner told us to lower our noise at night, and to stay on the second floor, but when night fell, and after our less-than-impressive dinner at rock inn & café, we spent the night warming our bodies at the fireplace. jassen and his distant cousin were there to exchange stories with us as the last few bottles of our poisons made their rounds, asking us what we loved about sagada, or in my case, what i didn't love. i shared that i have been to sagada more than 10 times, that i first came there to stay at the green house when places of lodging numbered less than a third of its present count, when the roads were so bad few private cars ever dared to make the trip, but that its relative isolation was what drew me. i would have continued with my lamentation, but who am i to say that the direction of sagada's progress should be this road map i have in my head? the following day we were loaded onto a jeep too small for 21 mountaineers. we borrowed 3 small chairs from a store and made the long ride back to baguio, stopping by the farmer's beef center for a very late lunch. it was already nighttime when we reached the city of pines, and surprisingly, there were many unoccupied tables in kalapaw, which meant we were allowed a very hearty dinner. throughout this trip, i rued the inevitable that we will soon run out of places for escape, that as paved roads replace dirt trails, paradise will be farther and farther away. 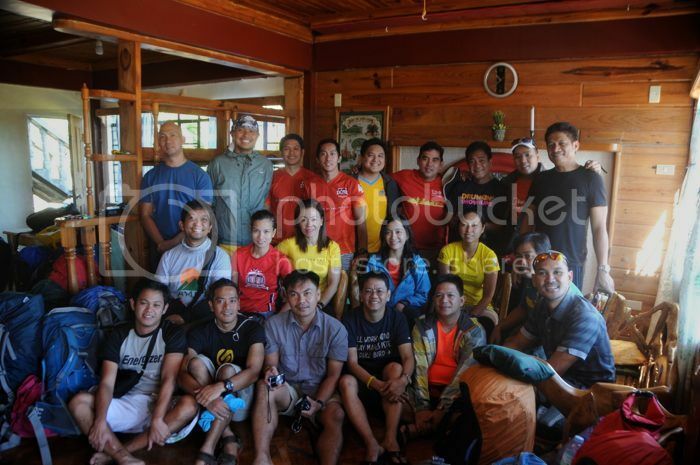 what will take the place of sagada? where will my next destination be? where do i go to find the unusual things lacking in my usual routines? will i be back here again next year, overcome by sadness at the disappearance of the secret trails, or will this be the last of this nearly annual pilgrimage?